The Cabinet of Ministers of Ukraine has approved a draft framework agreement with the government of Denmark regarding the general conditions and rules, organization measures and financial conditions of the implementation of the Danida Business Finance programme in Ukraine. The respective government resolution was approved at a meeting on February 20. “In order to strengthen cooperation between the government of Ukraine and the Kingdom of Denmark, the Ministry of Foreign Affairs of Denmark, under Danida Business Finance, agreed to provide funds to invest in sustainable infrastructure projects that are implemented by Danish suppliers,” according to the framework agreement, which is available to Interfax-Ukraine. This program involves the provision of interest-free loans by the Kingdom of Denmark to the Government of Ukraine, or economic entities under government guarantees, to finance projects related to renewable energy, energy efficiency, water supply and water treatment. 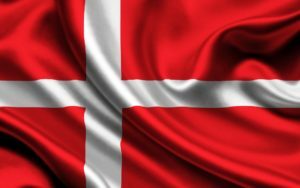 The direct creditor will be a commercial bank or a financial institution with a representative office in the Kingdom of Denmark, which has concluded an agreement with the Danish Ministry of Foreign Affairs. The projects will be selected in accordance with the Ukraine 2020 Sustainable Development Strategy and approved by the Danida Program Committee under the Ministry of Foreign Affairs of Denmark. The benchmark cost of one project is EUR 100 million. Projects worth less than EUR 13.5 million are not eligible for financing, except for separately selected projects. A loan can cover up to 100% of the value of the facility, and no less than 35%. Along with the financing fee, there is also no export credit premium and bank margin. Borrowing will be provided in euros or U.S. dollars. The repayment period is up to 10 years after the completion of a facility, for which the loan is taken. Danida Business Finance provides soft loans for funding of sustainable infrastructure projects in energy, water and sanitation, which cannot otherwise be financed on commercial terms in developing countries tied to transfer of technology and knowhow through Danish companies. Danida Business Finance offers technical assistance and support to authority-to-authority cooperation, if necessary, to transfer institutional knowledge in the relevant sector area.